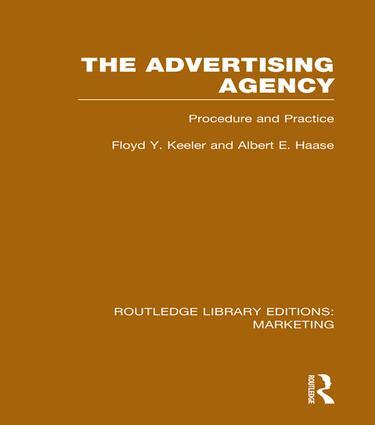 This book discusses the challenges of running an advertising agency in the early part of the twentieth century and examines the organization and operation of such agencies in great detail. One of the earliest "manuals" on planning and operating an advertising agency, this book was also one of the first to illustrate the vital part that advertising plays in the successful business, using six American advertising agencies as its sources. ON WHAT BASIS SHOULD NEW CLIENTS BE SOUGHT?